White Biocentrism • View topic - The Secessionist State of Franklin -- Can it Happen Again? The Secessionist State of Franklin -- Can it Happen Again? Court documents filed Thursday suggest James Hart Stern wants to use his new position as director and president of the National Socialist Movement to undermine the Detroit-based group's defense against a lawsuit.The NSM is one of several extremist groups sued over bloodshed at a 2017 white nationalist rally in Charlottesville, Virginia. Stern's filing asks a federal court in Virginia to issue a judgment against the group before one of the lawsuits goes to trial. Stern replaced Jeff Schoep as the group's leader in January, according to Michigan corporate records. But those records and court documents say nothing about how or why Stern got the position. His feat invited comparisons to the recent Spike Lee movie "BlacKkKlansman" in which a black police officer infiltrates a branch of the Ku Klux Klan.Schoep did not respond Thursday to emails and calls seeking comment. Matthew Heimbach, a leading white nationalist figure who briefly served as the NSM's community outreach director last year, said Schoep and other group leaders have been at odds with rank-and-file members over its direction. Heimbach said some members "essentially want it to remain a politically impotent white supremacist gang" and resisted ideological changes advocated by Schoep.Heimbach said Schoep's apparent departure and Stern's installation as its leader probably spell the end of the group in its current form. Schoep was 21 when he took control of the group in 1994 and renamed it the National Socialist Movement, according to the Southern Poverty Law Center. "I think it's kind of a sad obit for one of the longest-running white nationalist organizations," said Heimbach, who estimates it had about 40 active, dues-paying members last year. The group has drawn much larger crowds at rallies.NSM members used to attend rallies and protests in full Nazi uniforms, including at a march in Toledo, Ohio, that sparked a riot in 2005. More recently, Schoep tried to rebrand the group and appeal to a new generation of racists and anti-Semites by getting rid of such overt displays of Nazi symbols.It appeared that Stern, of Moreno Valley, California, had been trying for at least two years to disrupt the group. A message posted on his website said he would be meeting with Schoep in February 2017 "to sign a proclamation acknowledging the NSM denouncing being a white supremacist group. ""I have personally targeted eradicating the (Ku Klux Klan) and the National Socialist Movement, which are two organizations here in this country which have all too long been given privileges they don't deserve," Stern said in a video posted on his site.On Wednesday, lawyers for the plaintiffs suing white supremacist groups and movement leaders over the Charlottesville violence asked the court to sanction Schoep. They say he has ignored his obligations to turn over documents and give them access to his electronic devices and social media accounts. They also claim Schoep recently fired his attorney as a stalling tactic.A federal magistrate judge in Charlottesville ruled last Friday that Stern cannot represent the NSM in the case because he does not appear to be a licensed attorney. That did not deter Stern from filing Thursday's request for summary judgment against his own group. "It is the decision of the National Socialist Movement to plead liable to all causes of actions listed in the complaint against it," he wrote.Stern served a prison sentence for mail fraud at the same facility as onetime Ku Klux Klan leader Edgar Ray Killen, who was convicted in the "Mississippi Burning" killings of three civil rights workers. 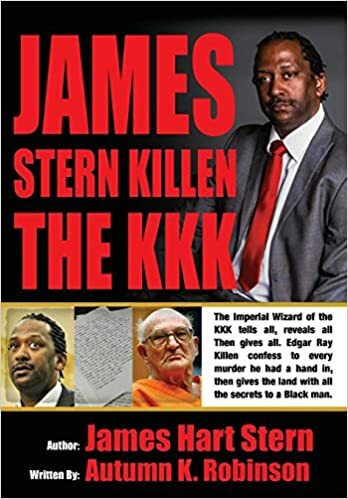 Killen died in January 2018.In 2012, Stern claimed Killen signed over to him power of attorney and ownership of 40 acres of land while they were serving prison terms together. A lawyer for Killen asked a judge to throw out the land transfer and certify that Killen and his family owned the property. Alliance members can rest assured that nothing like this will ever happen to our organization. The National Alliance is neither a Nazi organization nor a neo-Nazi organization, despite our being characterized as such by enemies such as the Southern Poverty Law Center, other Jewish groups, and controlled Jewish mass media who use those buzz terms for their bogeyman effect.